Disclosure: Nope, this isn’t a sponsored post. ChemStrip agreed to my request for an interview to learn more about “dip and strip” for stripping wood and metal. I wasn’t paid for this post and will not receive any commissions for people that use their services due to this post. They did offer a small discount on a small metal cabinet I wanted to be stripped so I could try their services. Big thanks to ChemStrip for making this information accessible to my readers! So What Is “Dip and Strip”? Mara Tells All: So What Can You Dip and Strip? What Type of Wood Pieces Can You NOT Dip and Strip? How Do You Bring a Piece In To Be Stripped? Do Certain Types of Wood Strip Better Than Others? What Challenges Are There When Stripping Wood and Metal? 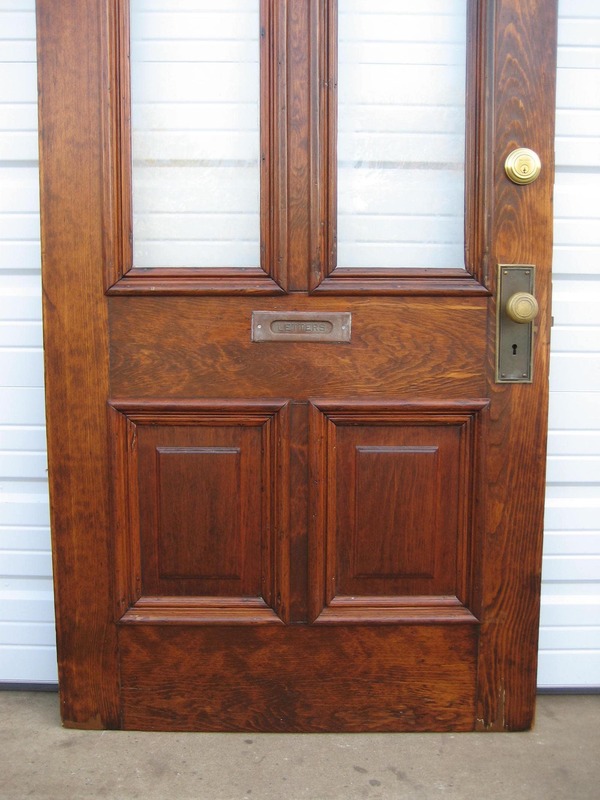 How Do You Refinish Doors After Stripping Them? What Are the Most Popular Things People Dip and Strip? I Didn’t Know People Stripped Radiators! I’ve always loved the look of a freshly stripped piece of wood. But it often involves me in my driveway…with dirty chemical-resistant gloves…and a look of disgust and satisfaction on my face as I flick gunk into a discarded cardboard box. 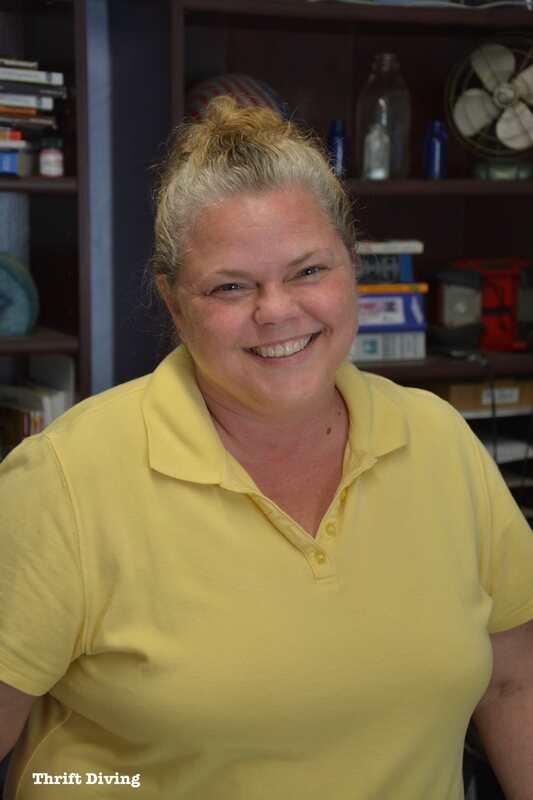 Stripping is a dirty job, and no one knows that better than Mara West, owner of ChemStrip, a full-service professional paint removal and rust stripping company here in the Washington DC metropolitan area. 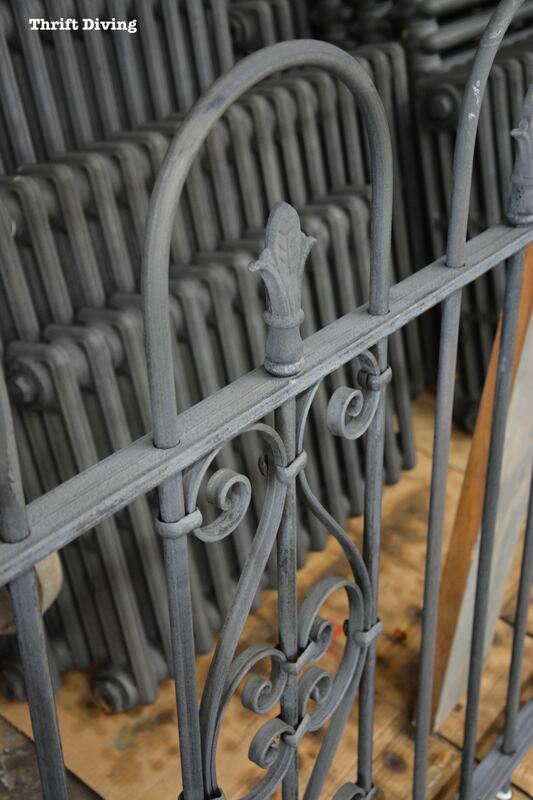 It’s only been recent in the past year that I learned about something called “dip and strip,” where people were getting doors stripped, old radiators revived, wrought iron brought back to life, and other metals professionally stripped. The idea is that old painted and rusted items take a chemical bath in a big vat of stripper. I never thought of stripping beyond the DIY’er slaving and scraping away in their own driveway, waving their “DIY Weekend Warrior” flag. But a conversation that I had with a friend recently peaked my interest in “dip and strip” for unearthing the treasure that lies beneath layers of paint and rust. I Googled “dip and strip” and stumbled upon a place in Upper Marlboro, Maryland called ChemStrip. A couple of weeks ago, my friend Thrift Store Pete and I ran into each other at the thrift store. We pulled out our cell phones and proudly showed each other our latest DIY projects. Pete absolutely loves mid-century modern styles of furniture, along with the industrial look of stripped and polished metal. Thinking that he had done these pieces by hand, he confessed that he leaves the larger metal furniture stripping to professional strippers. Suddenly, a light bulb went off! Why haven’t I heard more about professional paint stripping services?? 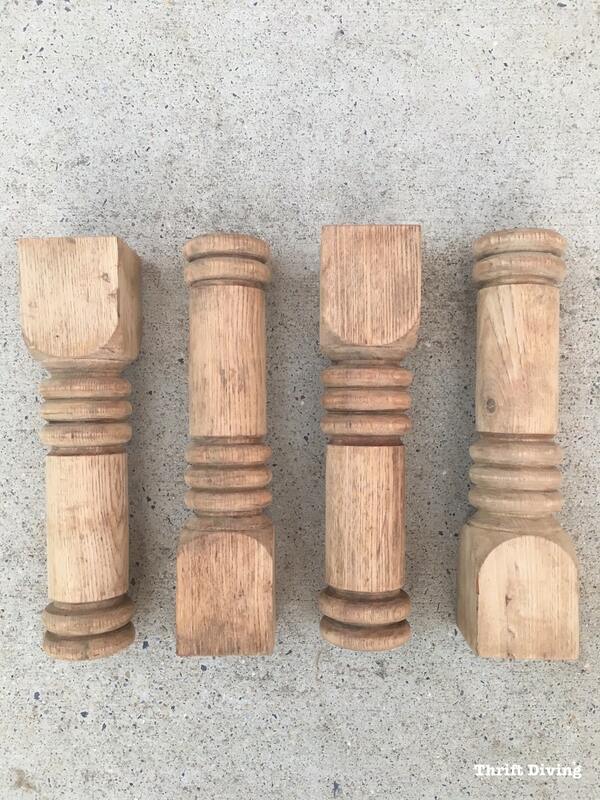 Long hours that I painstakingly stripped pieces by hand that could have been professionally stripped (such as these painted oak legs I stripped for my DIY bathroom vanity)–you mean I could have saved those hours and hired a professional to do it?? It shouldn’t have been a surprising thought. You can hire anyone to do almost anything, right?! But for some reason, I hadn’t thought about it. At that moment I decided that I would reach out to a local “dip and strip” professional stripper to request an interview. I had to get the low down on professional paint stripping! Mara, the owner of ChemStrip, received my email out of the blue. 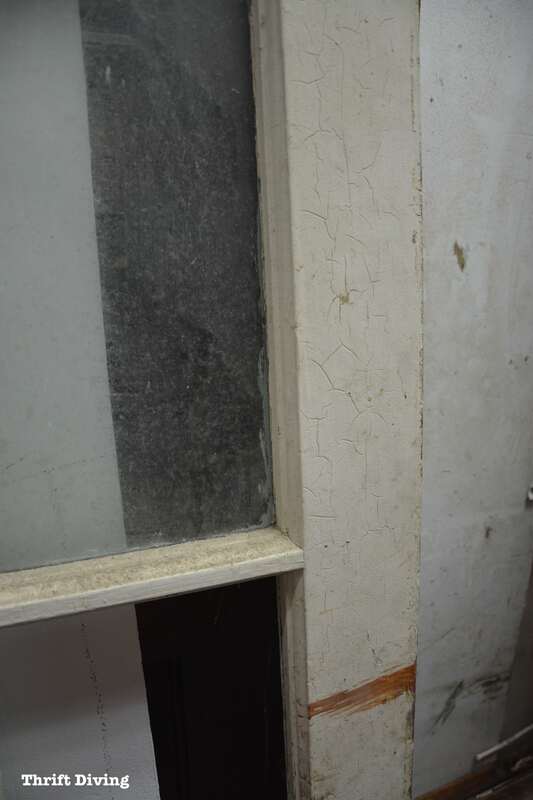 I introduced myself, explaining my desire to learn everything about her “dip and strip” paint and rust removal services, wanting to know it works, and how much it is to strip a door and other items at ChemStrip. We agreed to meet in a little over a week. I couldn’t wait! Upon walking into her office on a sunny Wednesday morning, I was greeted by Mara’s sweet little cutie named Nike. She immediately made me feel welcomed, along with Mara’s sweet smile. I sat down across from Mara, not even sure what questions I should be asking. 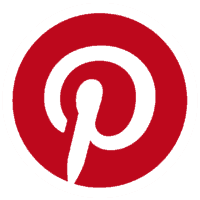 I explained again about this blog, you awesome readers, my desire to learn and pass that information on to you, and wanting to know everything there was to know about removing paint from wood and metal. Of course, I didn’t expect her to give away all her juicy trade secrets. But I wanted the 411! Mara has only been the owner of ChemStrip for the past year and a half after her brother passed away in August 2015. While the business carried on after his passing, it was clear that someone would have to step up and take over, so Mara and the crew of strippers and refinishers banded together to keep the business going. 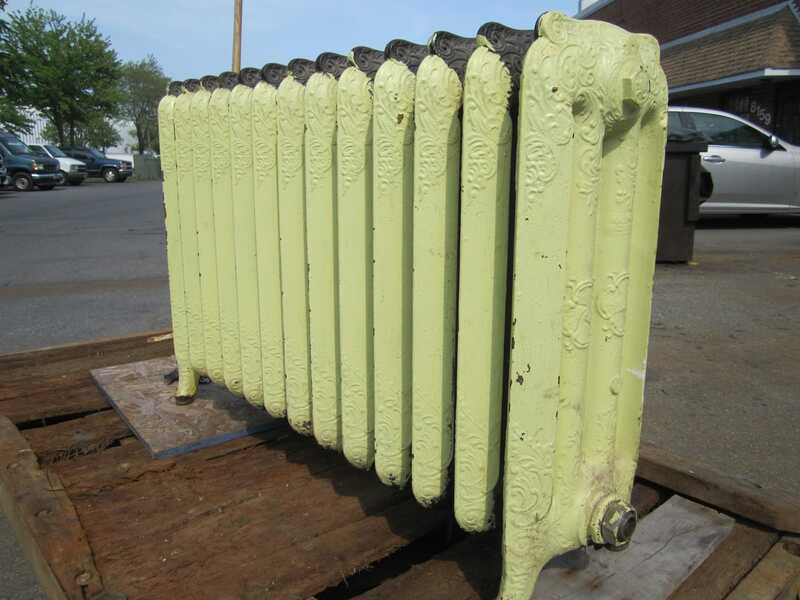 “Dip and strip” paint stripping (or “dip stripping” as some call it) is when wood or metal is placed in a large vat of solvent to help remove paint, varnish, and rust before refinishing. 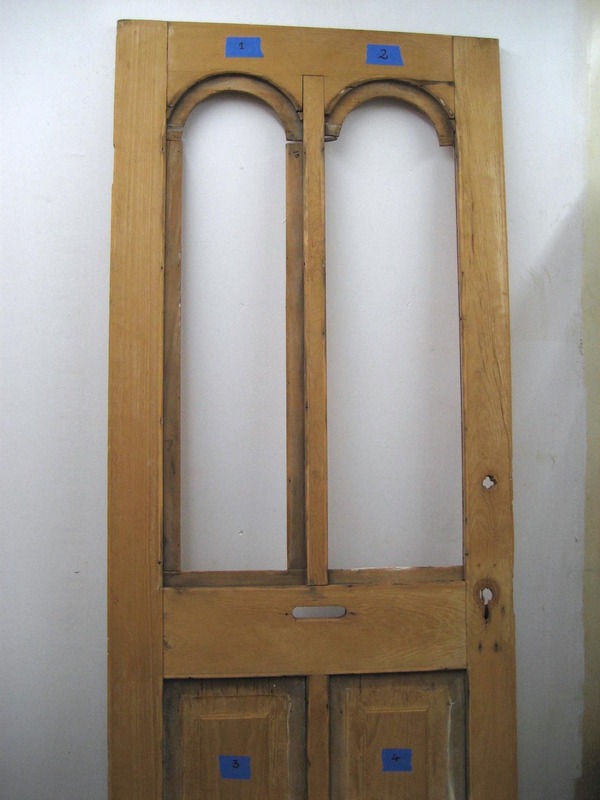 It’s the first step in a series of steps to help restore wood and metal and may be followed by priming and painting. Mara and I didn’t get into the nuts and bolts of how things are dipped and stripped because, well, I didn’t want her to give away all of her trade secrets. 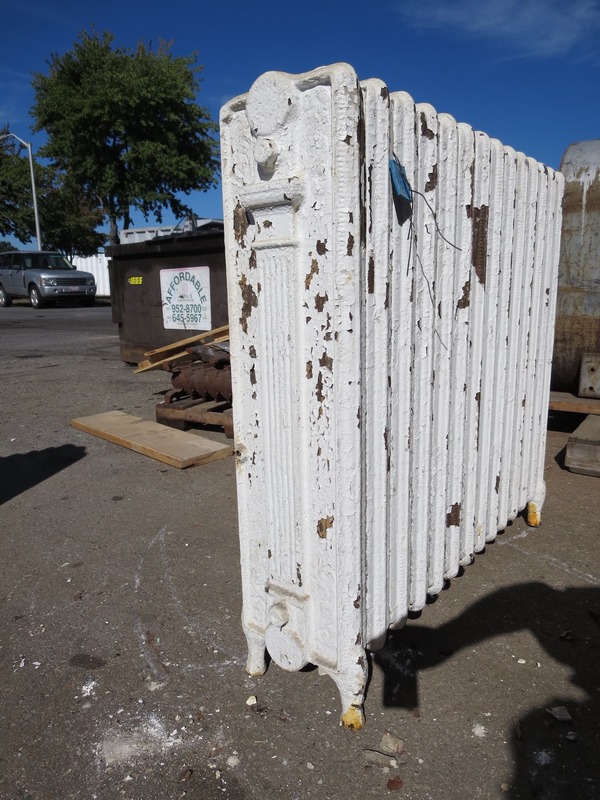 When you go to pick it up, you’re left with a clean, stripped, and (sometimes) primed and painted piece of wood or metal. But it’s not just stripping that they do. They also refinish these items as well (except for the automotive parts; those are only stripped to the bare minimum). They can prime and paint almost anything metal and almost anything wood. Recently, her business even helped a group of firefighters restore a bunch of parts for a 1910 firetruck! 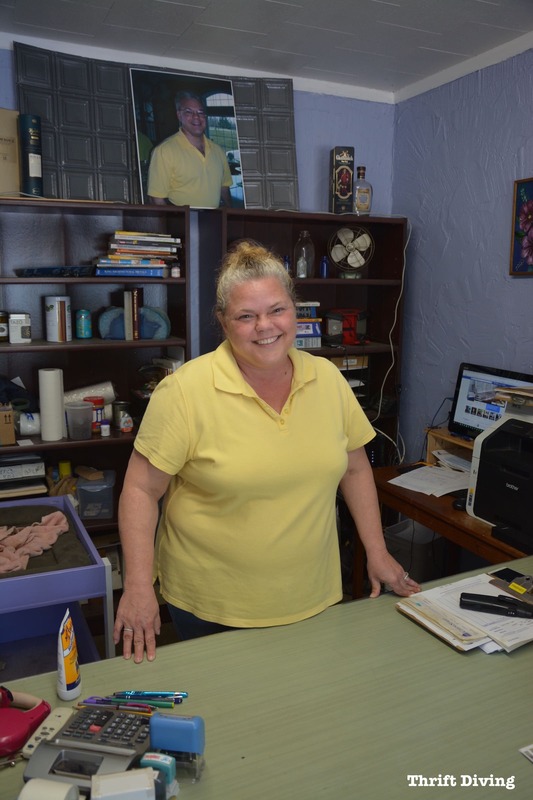 Most of her clients are businesses (about 70%) but a good number of regular ‘ole folks like you and me are bringing in items, looking for help with unearthing the gems that lie beneath old paint and damaging rust! I’m sorry to tell you guys this, but not everything can be dip stripped. I’ve had people bring things here and they’re heartbroken to find out that it’s pressed cardboard…and they had no idea…and then I can’t do it, says Mara. The only way for Mara to really know what can and cannot be stripped is to bring it to ChemStrip, particularly if it’s wood furniture. Looking at pictures isn’t the same as getting her hands on the piece to evaluate whether it can be stripped or not. Back in the 1940’s, manufacturers created a product that looked very much looked like wood and was cut like wood but was really a pressed product formed by sawdust and cardboard. They’d make furniture out of it. Furniture like that, she can’t dip. It simply falls apart. 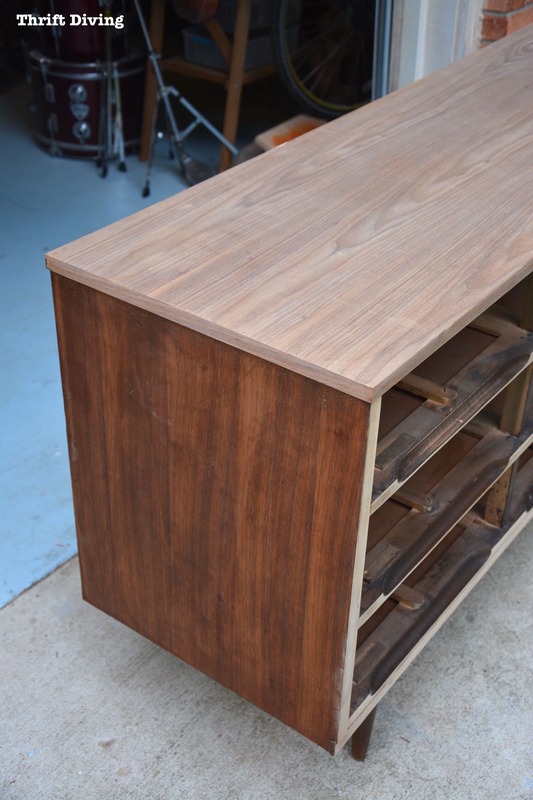 A mid-century modern dresser with veneer would NOT be a great candidate for dip and strip. And yes, there are times when Mara and her team have to turn people away because a piece of furniture just isn’t right for dipping. At that point, she’ll usually recommend clients are referred to someone who can refinish it by sanding only. Email or a phone call is an awesome way to give Mara a heads up about the piece you would like to be stripped. But furniture is really difficult to gauge by photos and email. She’s got to touch it, feel it, pick it up, and really inspect it to know if it’s going to be a piece she would be able to dip and strip. You’ll have to bring it in, but at the very least, this is what Mara would need to know. Take all the drawers out and take a picture of the entire dresser. What’s the backing made of? (that’s usually pressboard, too). 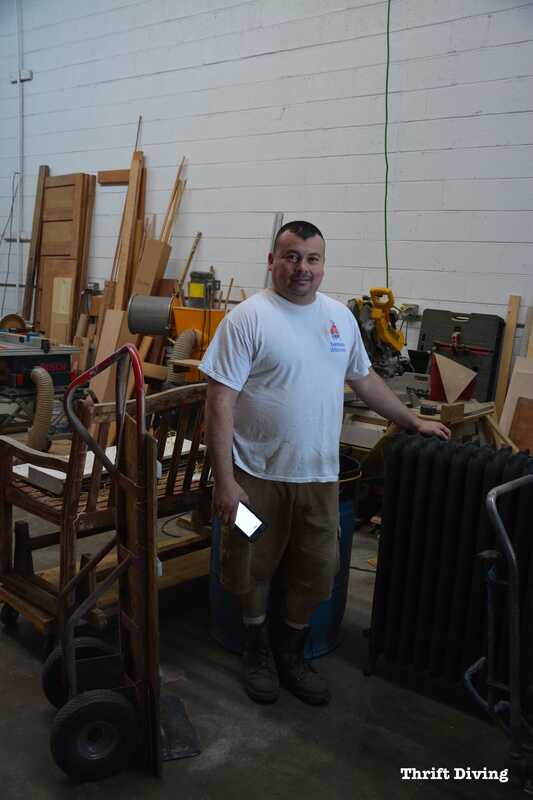 Other dip and strip places may have a different process, but I think it’s fair to say that any place you’d like to strip furniture for you, it’s best to take pictures and make a trip to the office to let the professionals get their hands on your piece. Some professional strippers will come and pick up your furniture for you, depending on your city and state. However, if you’ve lived in the Washington DC metro area, you’d know that traffic is horrendous! It’s not cost effective for Mara to send her guys out on runs that could literally take hours. So if you live in this area, be prepared to drop your furniture or other items off at ChemStrip for a quote! The answer to this is yes and no. The biggest answer to that question is we don’t strip every single piece of wood exactly the same. If we get a piece that is really old, there are going to be steps that we take to make sure it doesn’t swell up, that it doesn’t come to pieces, says Mara. For example, interior doors aren’t just one piece of wood. Some parts (the panels) can be veneer and the rest of the parts can be solid wood, but it’s not all one piece. So special care that must be taken to make sure that the doors don’t fall apart. As you can imagine, stripping wood and metal isn’t an easy job. There are definitely some challenges, and I asked Mara to share with me what some of those challenges are. Here’s what she had to say. 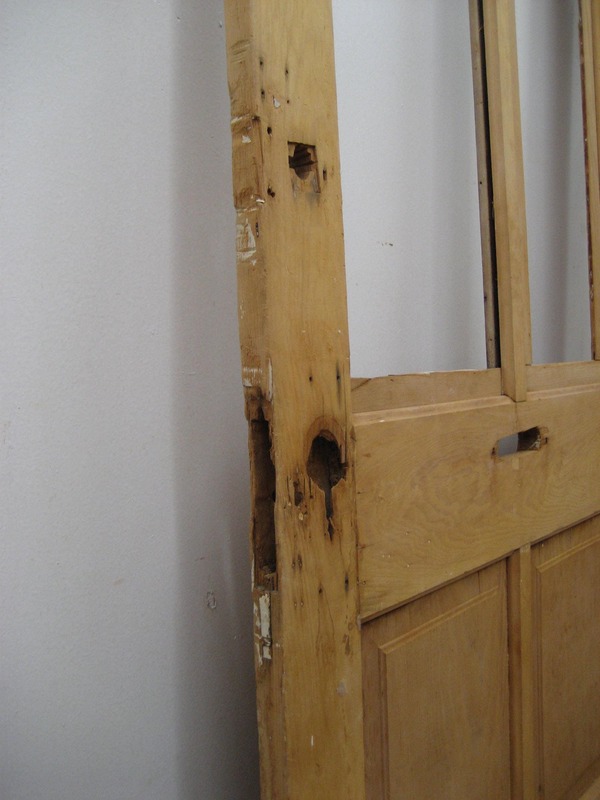 As mentioned above, one challenge, especially with interior doors, is that they’re not all one solid piece of wood. 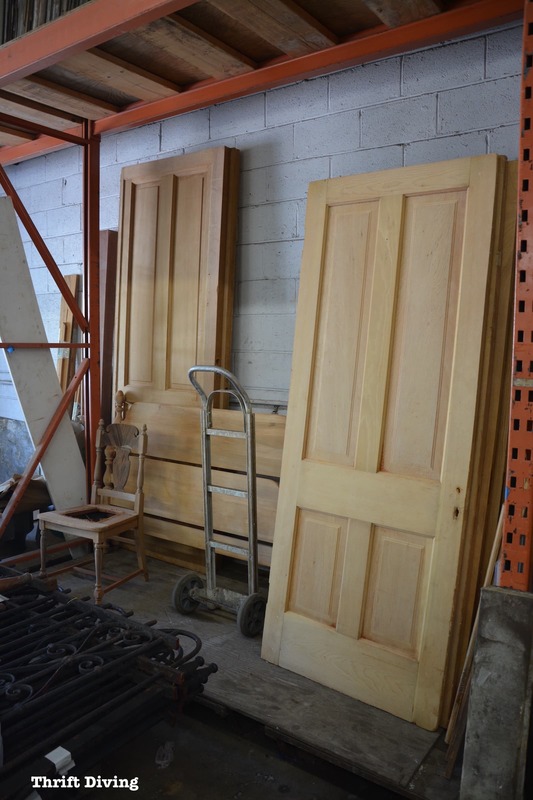 The process for these doors may be several steps. 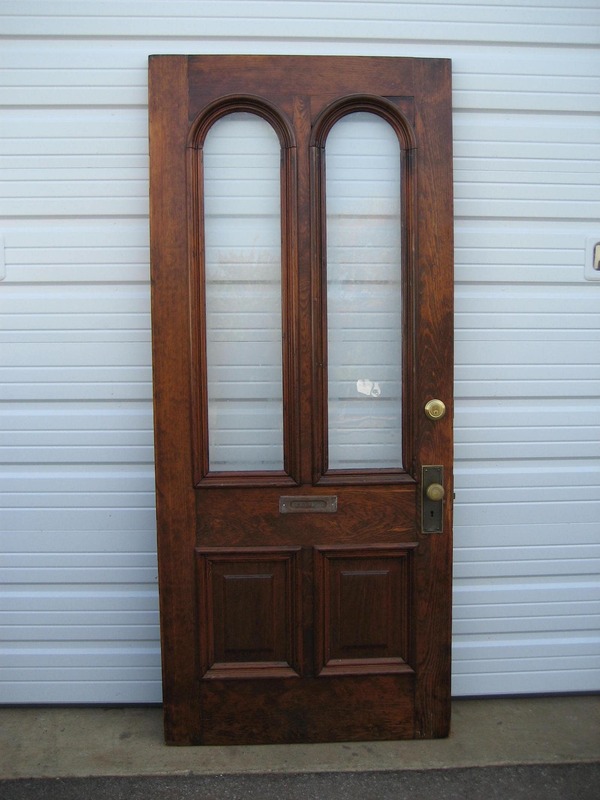 For example, most interior doors usually have interior-type paints. Typically those paints come off pretty well and fairly easy, according to Mara. So to be on the safe side, they’ll dip the door, scrub some, then let it dry. They may have to repeat this process multiple times depending on how many layers of paint are on the doors. 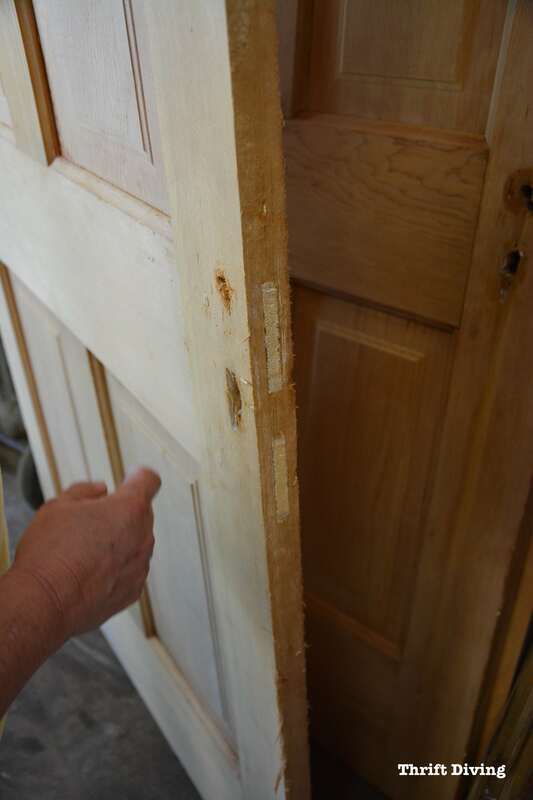 This repeated process is a gentle way to strip the door and helps to ensure that the door doesn’t fall apart after being stripped. Old varnishes and stains, especially the really old varnishes and stains, are really difficult to get out of the wood; the wood is literally stained. So you have to sand through several layers of the pulp of the wood to get to an unstained layer. We erupted in giggles at that example. I know exactly what she’s talking about. After doing my share of stripped projects, I always thought I was just sorely lacking in stripping skills since my wood never sanded out perfectly. 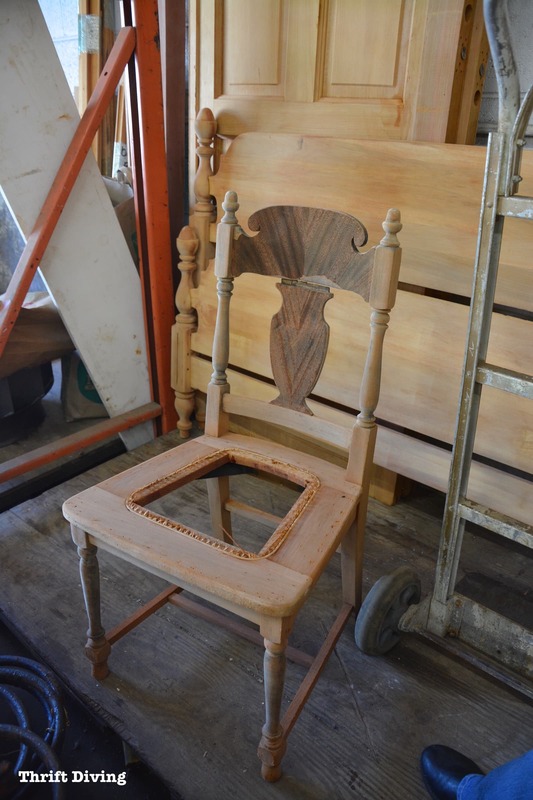 But as Mara pointed out on this stripped wood chair in her shop (below), discoloration happens with old stains and varnishes. There’s not much you can do about it except to manage your own expectations. Will Wood Bleaching Remove Stains From Wood? Wood bleaching will make it look brighter. Sometimes it will work, but you’re always going to see some discoloration. It’s similar to a tattoo on your skin; you can’t just rub it off. I had stripped some painted oak legs for my DIY bathroom vanity and was dismayed that I couldn’t get the wood back to a totally natural finish. Now I know that it wasn’t me; it’s just the way that wood behaves with old stain! The misconception most people (including me!) have about metal and rust is this: they think that once you remove the rust, they’ll be left with a nice, smooth piece of metal. Mara gets a lot of wrought iron fencing, and even gliders, such as the vintage gliders that your grandmother used to own. 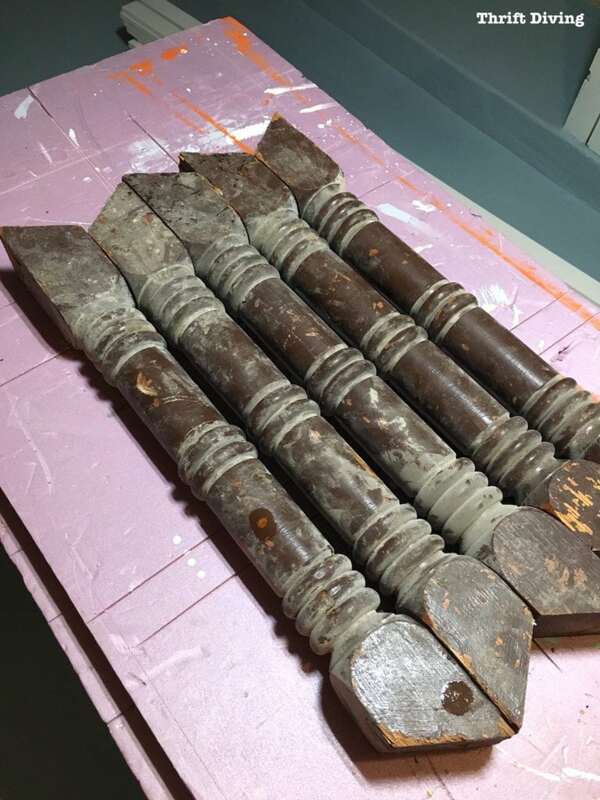 A problem they encounter is when these antique or vintage metal gliders or metal furniture pieces have been repaired with J-B Weld or Bondo Metal Reinforced Filler (affiliate links) which can be used to fill and repair holes and imperfections in metal and other surfaces. 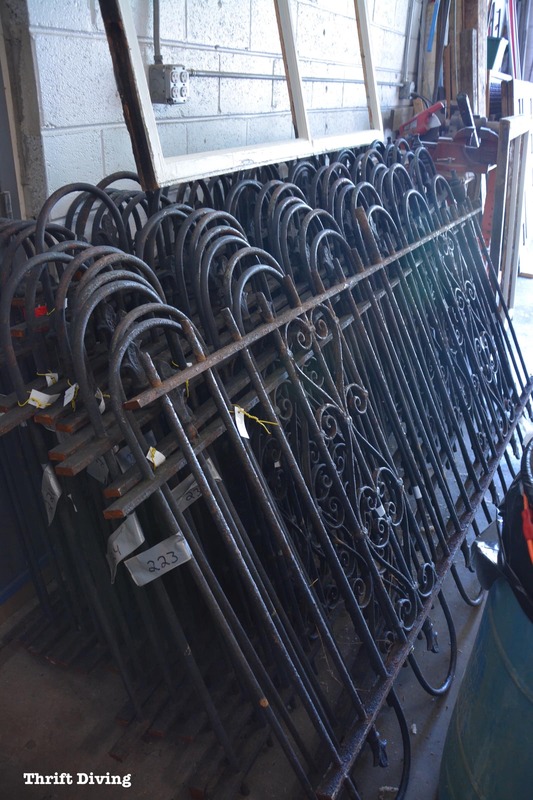 When wrought iron pieces are dipped, those fillers come right off. With it comes the rust, but many times you’re not left with that nice smooth piece of metal. In fact, you’re usually left with a piece of metal that is spider webbed with holes! It’s not until the rust dissolves out of it that you see what you’ve really got. 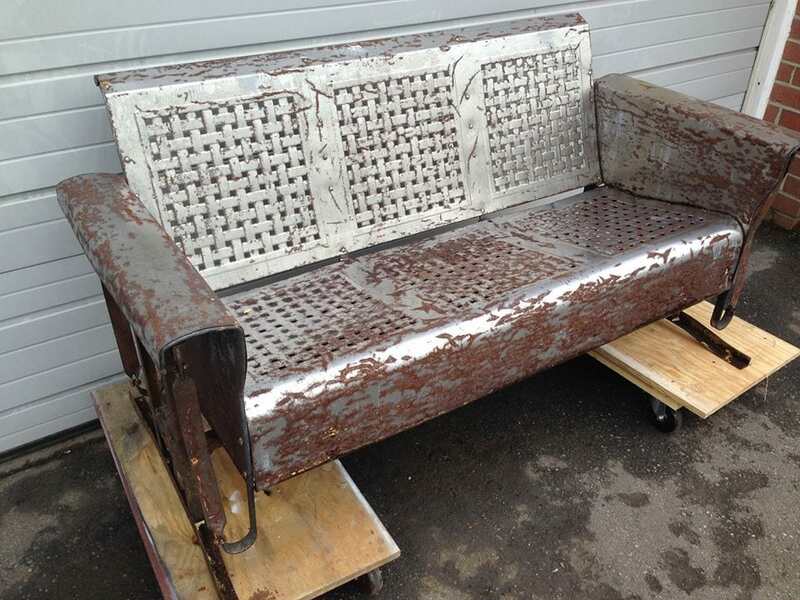 This was a project Mara shared with me: a vintage metal glider for a client that, once stripped of paint, was discovered to have so many spider webs of rust! 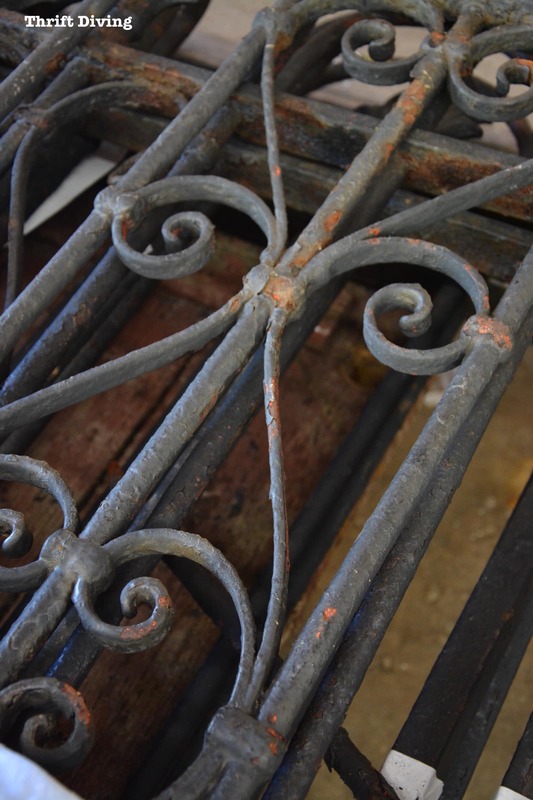 With a lot of restorative welding, along with restoring the brackets and the glide, the piece was then stable, could glide again, and was protected from further rusting! It actually took them months and cost about $1,500 to restore this! But for those clients that are looking to restore family heirlooms, it’s not about the cost. It’s about reclaiming a priceless, sentimental part of your history that no amount of money could ever replace. In fact, this metal glider belonged to the client’s grandmother, and now, the client was a grandmother herself. This is a family beloved piece of furniture that can then be passed down to her own grandchild. Family memories and treasures like that have no price tag. Love this project and the warm story behind it! Mara is a self-proclaimed “thrift store girl” who loves old pieces of furniture and wishes that she could refinish some of the pieces that clients bring in because she knows how beautiful they could be. But sometimes people aren’t willing to spend the money to have something professionally stripped. As much as she wishes she could afford to buy junk, she can’t afford to do both buying and restoring. She’s got a staff of guys that work for her, stripping and refinishing the pieces, and restoring her own things would be on her dime. Mara and her team know exactly what they can and cannot strip and refinish. There’s never been a situation where they’d accepted a job and wasn’t able to finish it. But there have been some challenges with managing clients’ expectations. About 70% of Mara’s customers are companies and contractors, so they’re typically well-versed on what to expect. Homeowners and hobbyists, however, which comprise the other 30% of Mara’s client base, really need to be informed so that their expectations are realistic. As I mentioned above in Challenge #3, understanding rust and how it may affect metal is a huge misnomer that many people have (including me!!). Rust is like a fungus, a growth, that eats away at the metal. Where the rust is coming off, there won’t be any metal there. People don’t realize how much of their fencing or metal isn’t going to be there when they’re done stripping it away! People also have to understand that it’s not always as simple as just dropping off your piece of wood or metal and then picking it up a week later. 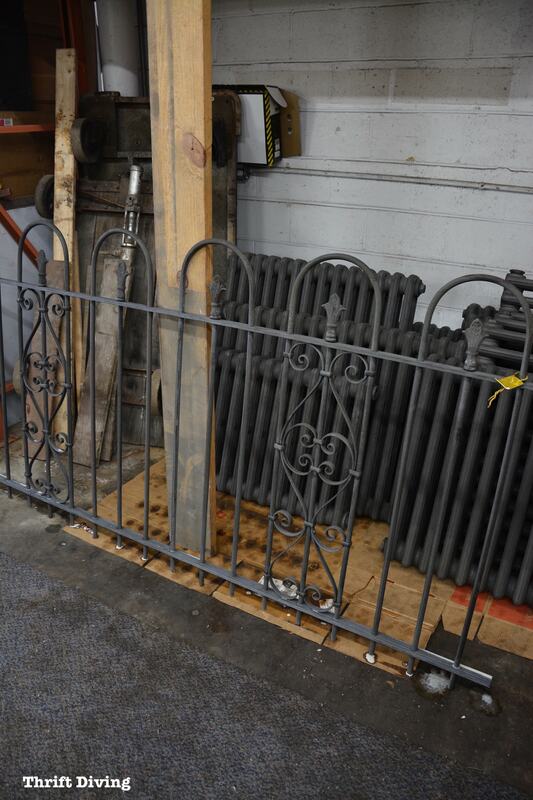 Sometimes there may be welding work required, which isn’t included in the stripping cost. And sometimes you don’t know this until after it’s been stripped when you can see what’s left of the metal. Or maybe your wooden piece will have to be dismantled before it can be stripped and neutralized (otherwise, the chemical would stay in between pieces of wood, which wouldn’t allow the wood to be thoroughly neutralized. Any finish that would go on top of wood that hasn’t been neutralized after stripping would just start stripping itself). Keeping in close contact with your professional chemical stripper will you help with understanding the process! Stripped and ready for refinishing! ChemStrip strips a lot of painted doors that look similar to this. You can see the layers of paint cracking on the surface! I was wondering if there’s a lot of work that needs to be done to these doors after they’re stripped, or do they just slide out of the vats looking gorgeous. 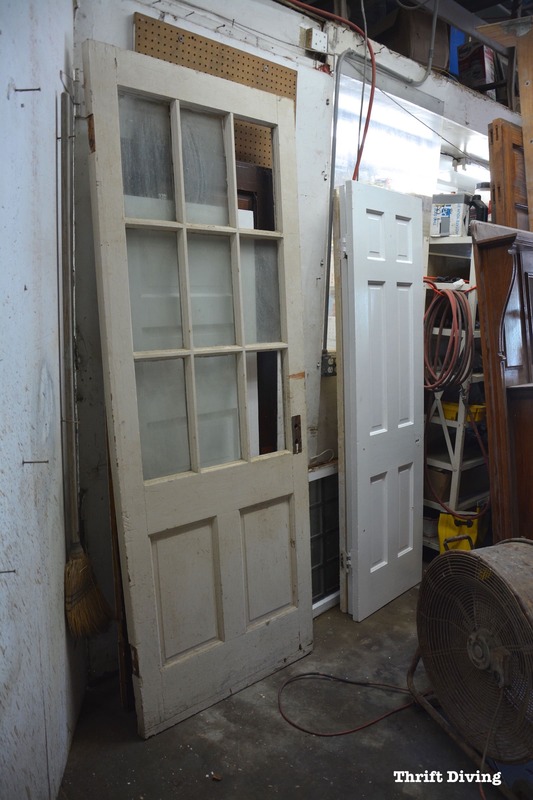 These interior doors were in great condition. If they wood doors have paint on them, all of them get a good sanding when they come out of the stripper. “There’s no getting around that,” Mara says. Sometimes patches have to be made for where the old locks were, depending on where the new locks will be. During the interview, Milton, Mara’s refinisher, walked in. He’s been with Mara’s family business for 16 years now! 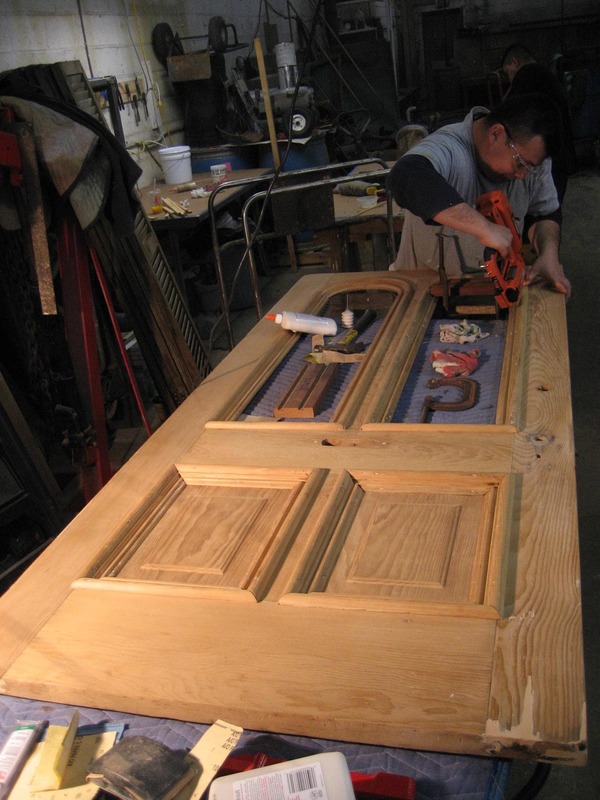 His favorite part of the process is refinishing, how he refinished the amazing exterior door below! This is an example of a door that you can’t just strip. It needed some repair and was being refinished, too. If you and I were walking past this door, we’d likely comment on what a great piece it would be, but we’d have no idea how to bring this old door back to life. But Milton and Mara knew the door could be beautiful again! (P.S. I really wish I knew the story behind this gorgeous door! I must find out…). It turned out absolutely gorgeous! The color is so rich, too! 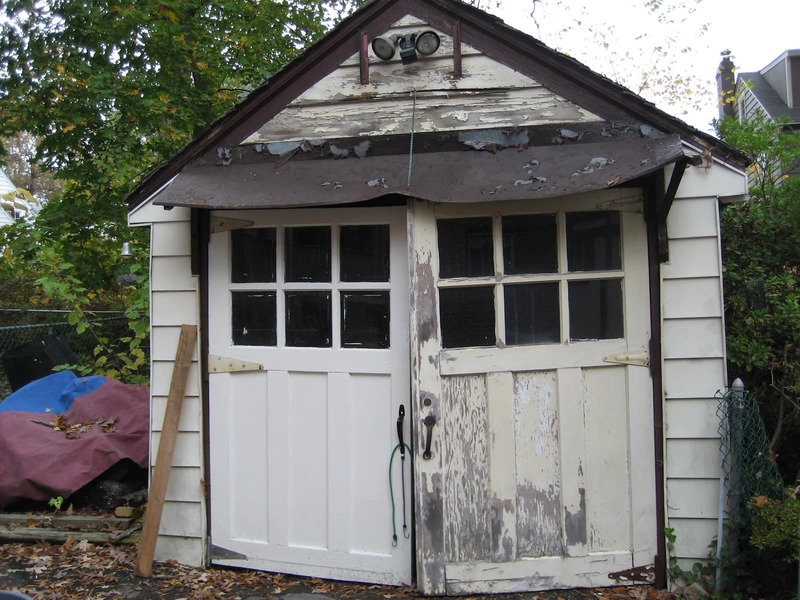 Mara and her team also strip, repair, and refinish exterior doors, too, like this detached garage. 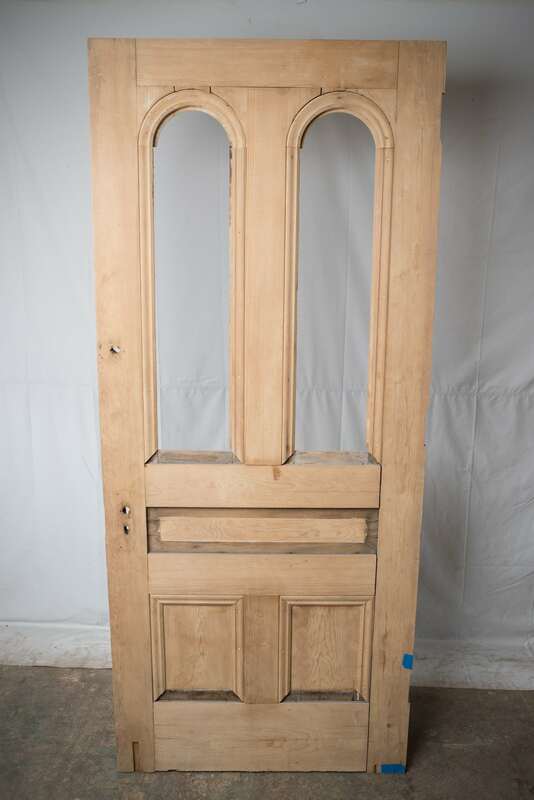 If you decide to paint wood that has a lovely grain and is in great condition (only on interior pieces), put a coat of shellac on the wood first. If you decide later that you want to strip it, the shellac will have prevented the paint was seeping into the wood too much. It will be much easier to strip it later! 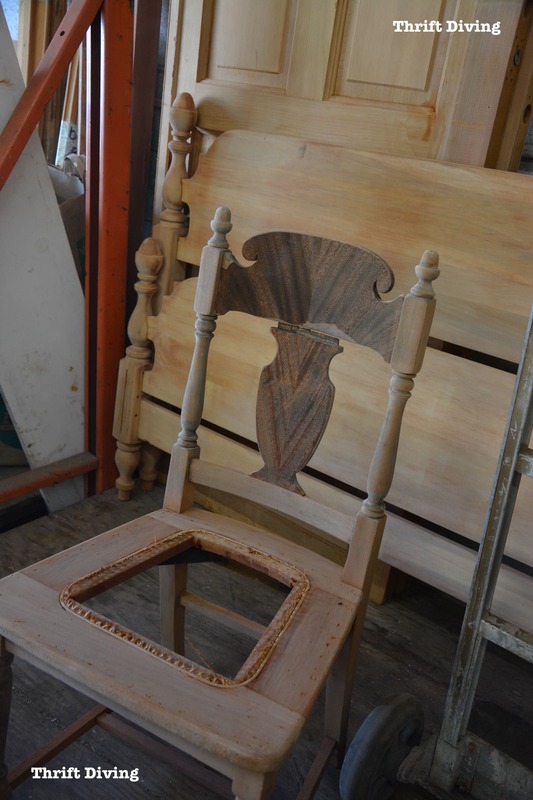 If a piece of wood furniture is in poor condition and you had to use wood fillers and such to repair it, these types of furniture will likely never be stripped again due to the damage and repair. No shellac is needed on those. For Milton, adding a coat of shellac to beautiful pieces of furniture with pretty grain has become the rule more than the exception! 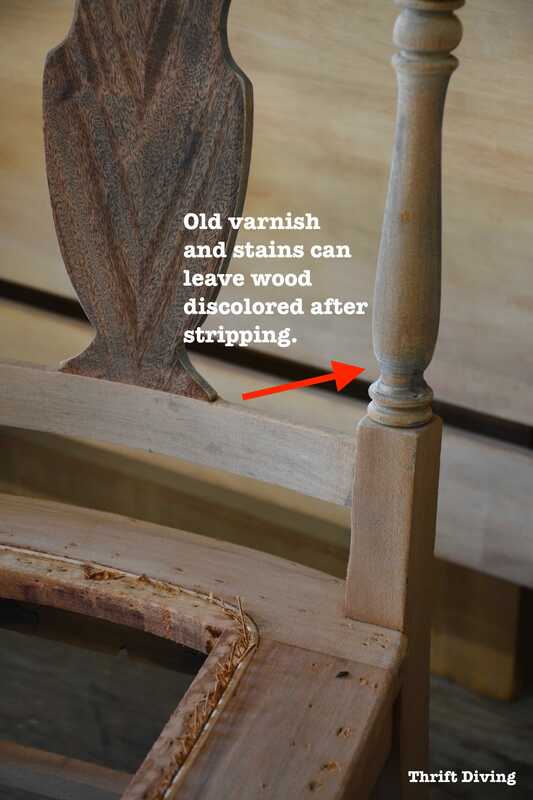 This tip helps to remove the guilt of deciding whether or not you should paint wood! A gorgeous mantel waiting for refinishing. I was really curious about the 30% of homeowners and hobbyists who were bringing items to Mara. 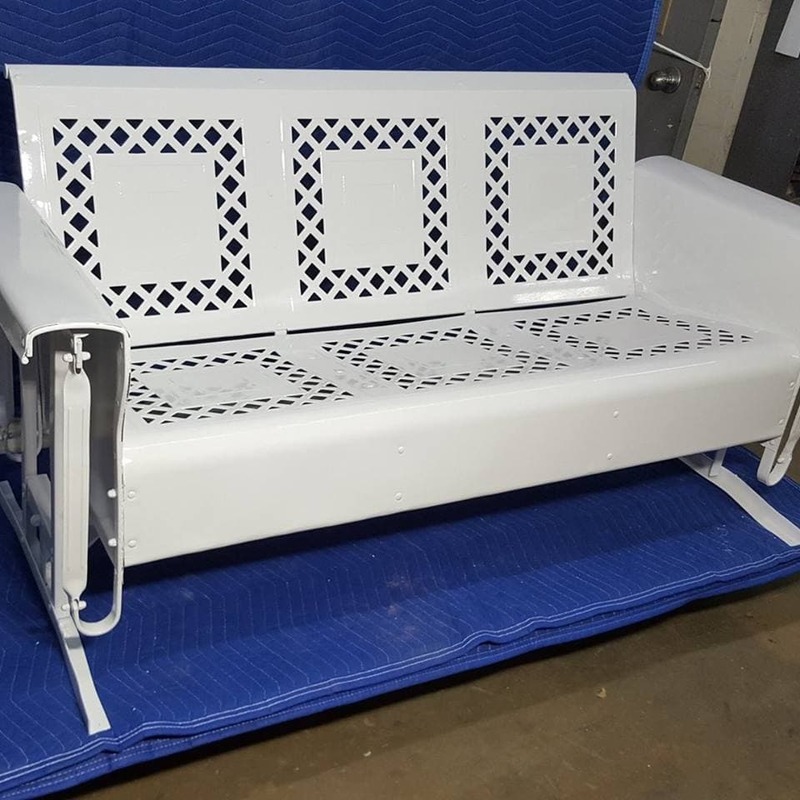 What were the most popular pieces of furniture that people are bringing to strip? She doesn’t do a lot of dressers. Most of them she turns away because of the pressboard and other materials that don’t hold up well to being dipped (as I mentioned above). 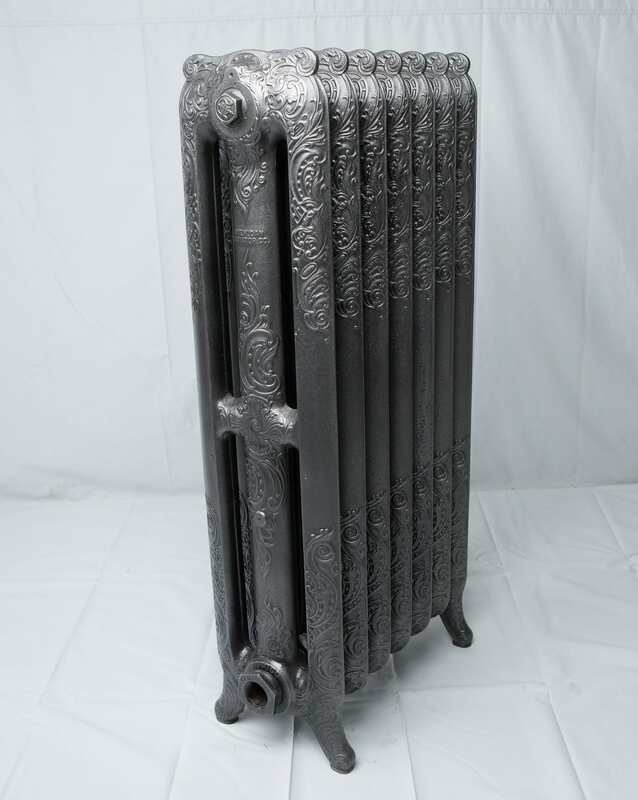 Yep, chuck it up to my total ignorance, but I had no idea that people stripped radiators. I can’t even tell you the last time I saw one up close prior to visiting ChemStrip on a tour. HA! These things look like big hunks of junk with lead paint all over them. I would never have looked twice at one of them…. …but being a true DIY’er at heart, I know that anything can look beautiful when given the time and attention. 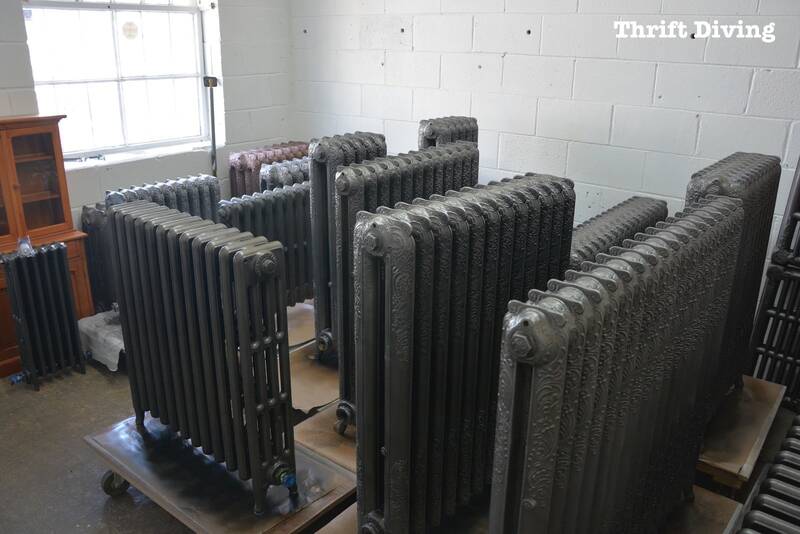 And I have to admit, I absolutely was floored at how beautiful these stripped radiators looked totally refinished! 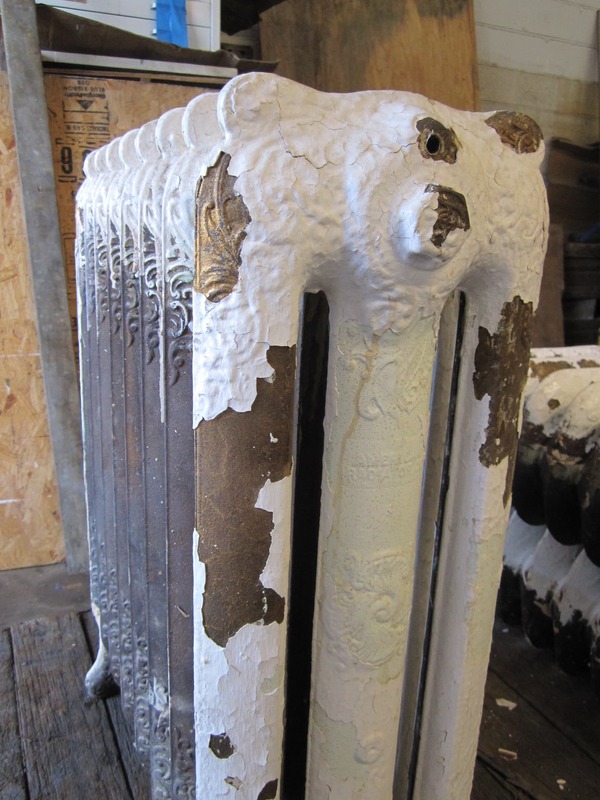 But what’s even more striking are the beautiful detailing that many of these old painted radiators have that you never notice because of the paint. 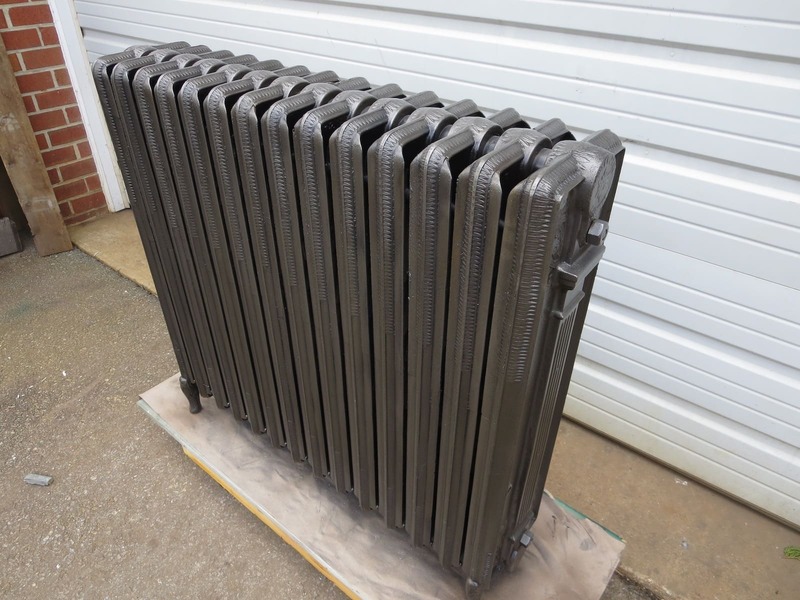 And when they leave, the radiators have been stripped and refinished and look amazing! In fact, she’s got a whole room full of them finished and ready to be picked up by clients. 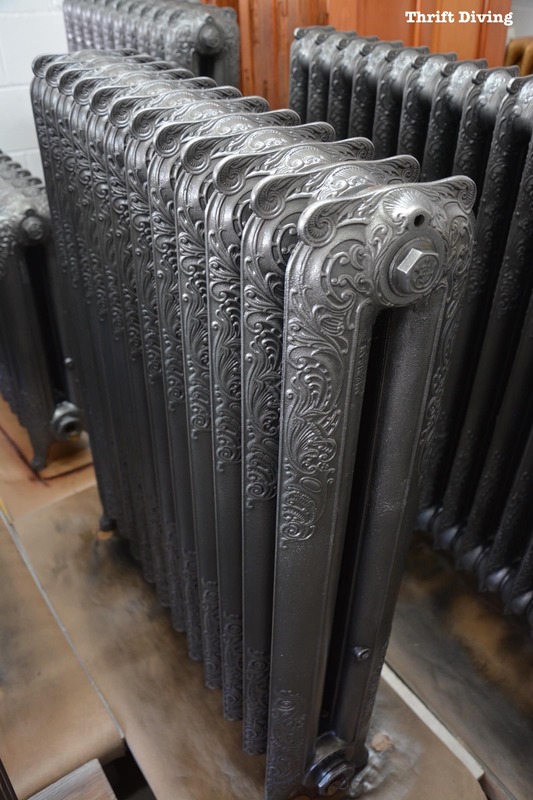 Who knew radiators were so beautiful?? 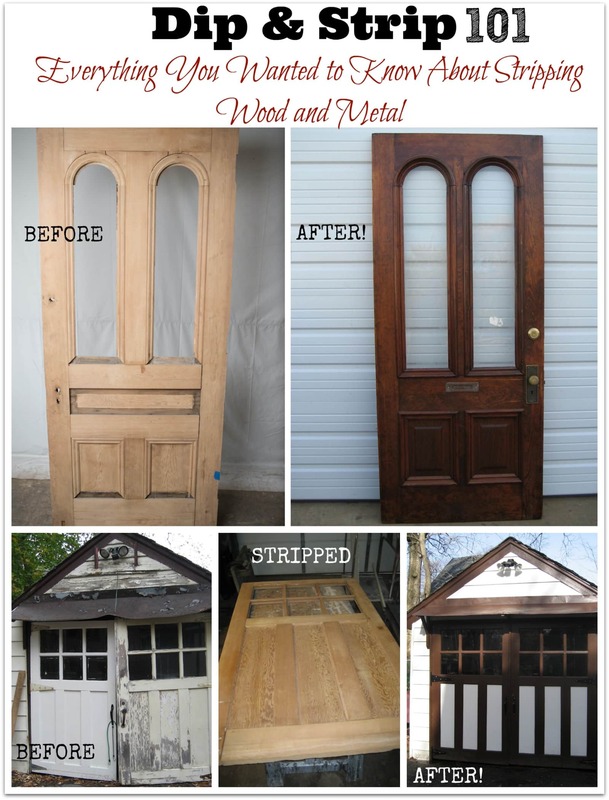 Is Wood and Metal Stripping Right For You? No experience needed. Let the professionals handle everything! No sweating it out in your driveway or garage. Saves time since you don’t have to do the work yourself. Safer. No risk to yourself for attempting a DIY project that could go wrong. Can restore priceless family heirlooms. You’ll learn a lot from talking to the professionals about your piece. Can be expensive (typically $65/hr.). It will be more expensive for larger, more complex pieces. You might not be realistic about what the professional stripper and refinisher can do. May discover damage that would be even more expensive to refinish. Isn’t suitable for furniture that isn’t all wood. My thoughts on these services is that if you can afford it, it’s the way to go, especially if you don’t have any experience with stripping, don’t have the time, and don’t want to be a part of the nasty mess of stripping! As I mentioned, much of the furniture I strip is by hand. It’s likely that you’ve got some pieces of furniture that you’ll have to either learn how to strip yourself if it’s not a good candidate for dip stripping. Or you’ll have to pay someone to strip it by hand. 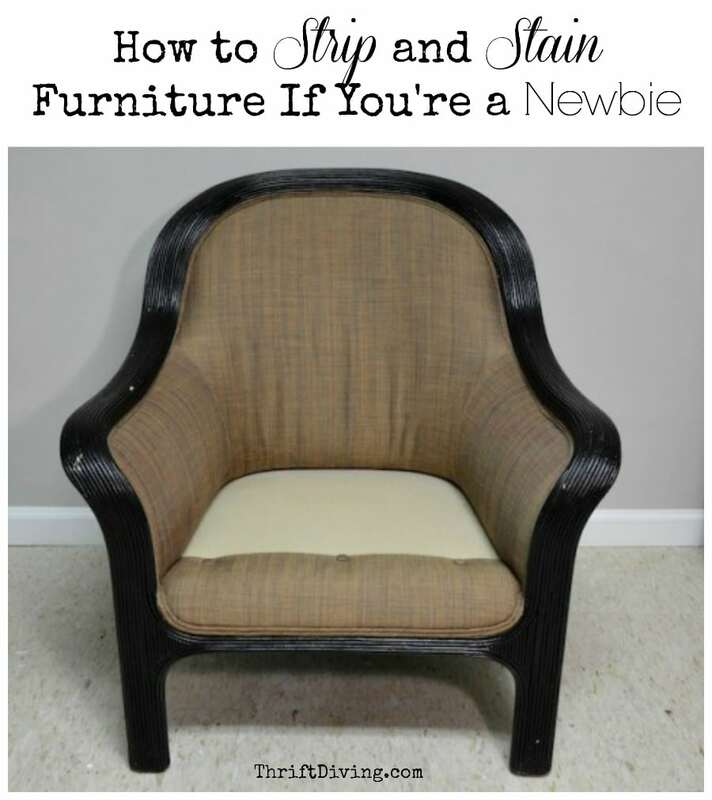 Check out this post on how to strip furniture by hand. I’m Stripping This Vintage Cabinet! I brought along with me to the interview with Mara this old vintage cabinet I had found for a few bucks at the thrift store. Yeah, I probably could sweat it out in my driveway and wave my “DIY Weekend Warrior flag” like I often do and strip it myself, but I really wanted to try Mara’s services for myself! 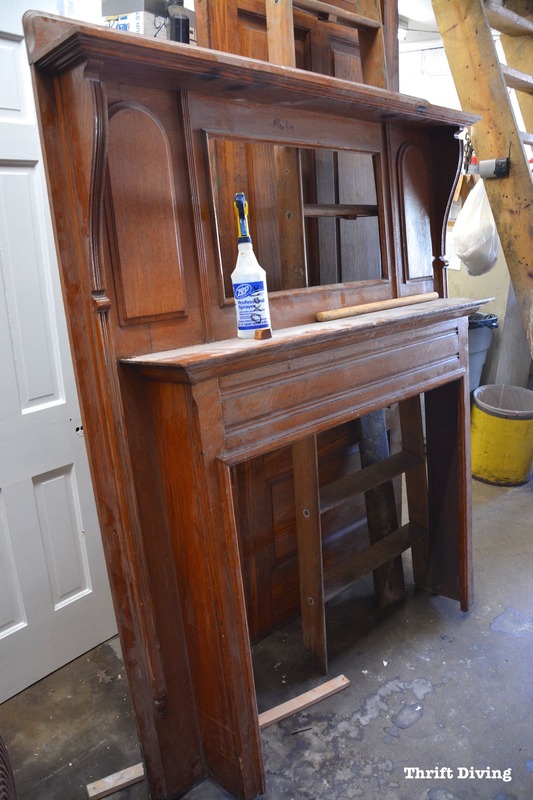 Mara offered me a small discount on stripping it (it would have been $85 to strip, but she discounted the price to $50), but that’s only because I’m writing this post and the cabinet project goes along with PART 2 of this story coming soon! (P.S. Don’t expect to haggle with her if you drop off your own items! LOL. She only discounted mine as a courtesy). You’ll see the project as soon as I get the metal cabinet back and complete it. This is what it looked like when I dropped it off. Can’t wait to see it all stripped! It’s been a year and a half since Mara took over her brother’s business. ChemStrip is now truly a family business. Despite her 4-hour commute twice a week between her home and her Washington DC “home away from home” (close to the business), she enjoys the quiet reprieve during the commute when life gets busy. She keeps a picture of her brother on the bookshelf, a dedication to him. I have a lot of respect for family members that pull through to help out the family in times of need. But I also really respect that Mara helps people restore old treasures that otherwise would probably end up in the dump (or at a thrift store where people like me scoop them up!). One thing I’ve discovered about life is that it all comes down to family and love. We’re nostalgic for the things that remind us of a time in our life when we were most loved. Not everyone has the desire or know-how to spend a weekend stripping down Grandma’s glider. But at least now we know who can help us keep the nostalgia going. So have you ever heard of “dip and strip”? 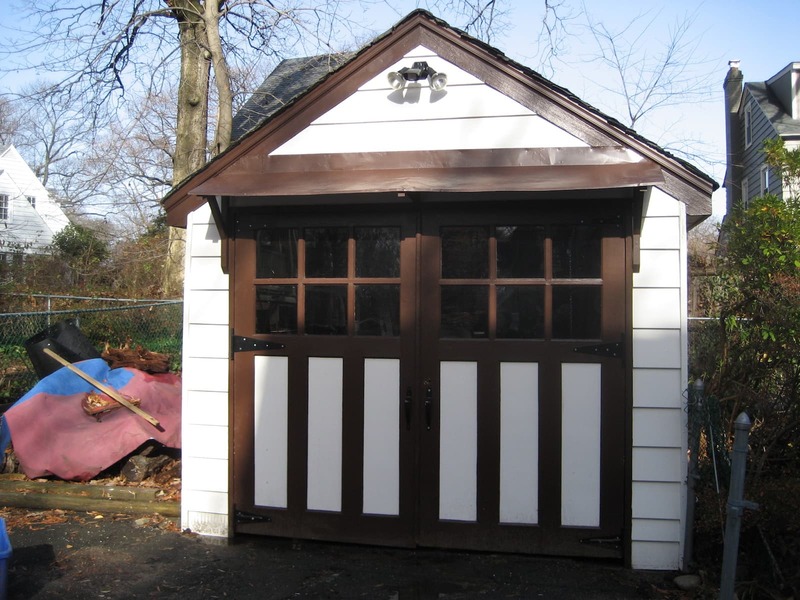 Have you ever hired professional paint and rust removers to refinish wood and metal? Leave a comment below and let’s talk stripping! Big thanks to Mara West with ChemStrip for allowing me to write up this informative post about her business and services! For more information about ChemStrip, visit http://www.chemstripmd.com/http://www.chemstripmd.com/ or follow Mara and her team on Facebook. « I Bought This French Provincial Vanity For Under $10! What a great article! Thank you! I am currently working on a late 1920s dining table and chairs. The table pedestal is causing me conniptions! After deshellacing it with denatured alcohol and taking stripper to it there are still dark streaks that I can not get rid of for the life of me. Now I finally know why – old stain seeped into the wood. And I got to read a great article too and realize that the pros suffer the same frustrations as us amateurs. So my next step and a great hint. Try mixing a paste of barkeepers friend and water- equal parts – to see if I can lighten those streaky areas. Just paint in on and wait a few minutes then wipe it off. It will affect the finish (if there is still one on there) but it has gotten rid of black water stains for me before and will lighten wood a bit. 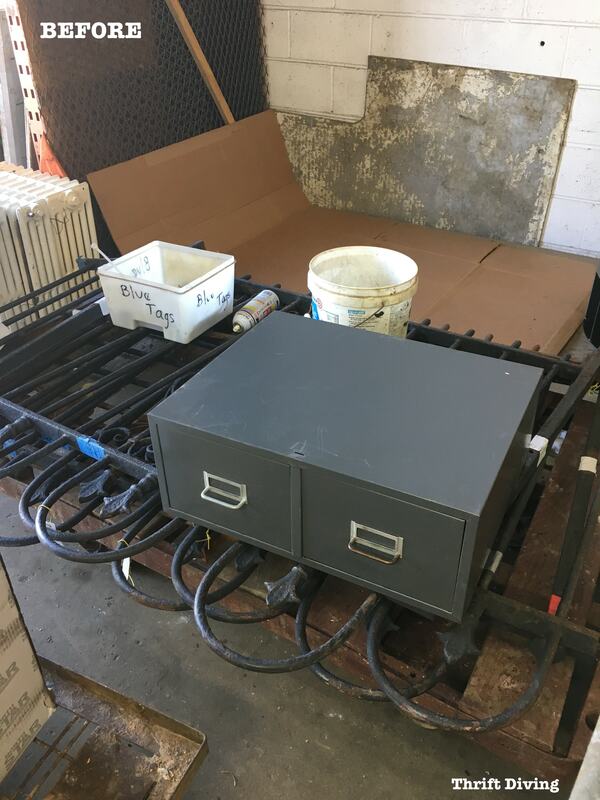 I have been stripping old furniture, cupboards, doors, trim, fireplaces, just about anything that foolish people years ago painted–for over 40 yrs. Hard job–but rewarding! People think a coat of paint is the answer to all imperfect pieces of wood. But then it chips & looks really bad. My thought is to take the time & strip the wood–it will look good for ever! Learned a lot reading this article. 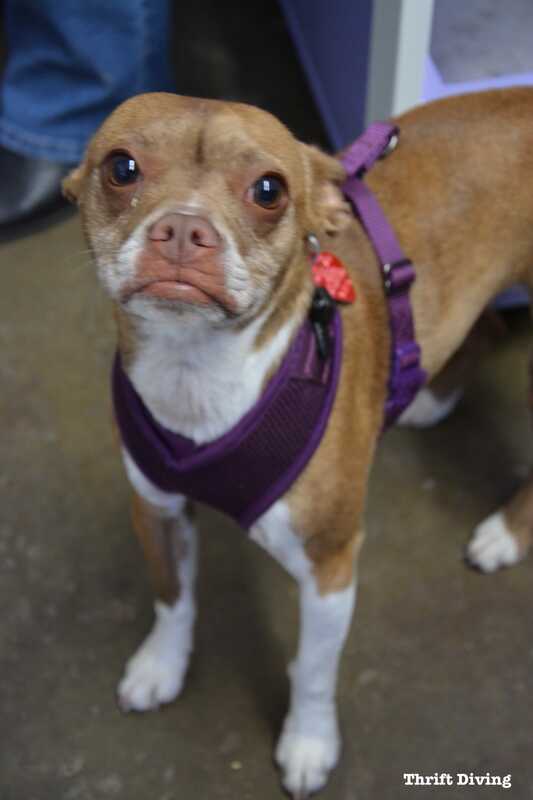 What I really want is for Mara to be closer to DuBois (northwestern PA). Too hard to drive to DC., actually impossible for me. I would love to see her business, & still have ‘things’ that need to be stripped. It’s getting hard for me to do it with pain in my hands. But thanks so much for the informative article. I will keep it for further reference. This is such a helpful post. Bookmarking it right now! Thank you so much for writing about it. You just made my projects so much easier. Love it!